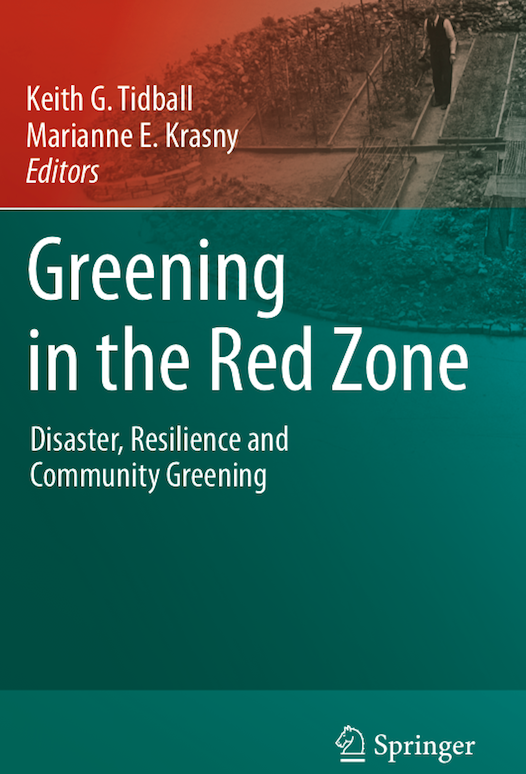 Published by Springer-Verlag (2014), Greening in the Red Zone explores how people use greening activities to aid in recovery following disaster and conflict, and how their actions contribute to the resilience of the communities and ecosystems in which they live. Examples include post-Katrina New Orleans, reconciliation initiatives in Cyprus and the former Yugoslavia, and soldiers and military communities turning to nature-based activities in the US. Visit the Greening in the Red Zone Blog for more examples of greening in the red zone from news media and personal accounts.